PARIS — Qatar is considering offers from other countries to host teams during the 2022 World Cup, but no decision has been taken yet, the head of the organising committee said on Monday. Iran has recently offered to host teams who will play in tiny Qatar in the World Cup which starts in just over four years time. When asked whether teams could be based in Iran, chief organiser Hassan Al Thawadi said Qatar had received "numerous proposals from countries with regard to hosting teams" around the time of the tournament. "This is part of the operational plan, but obviously it will have to be done with FIFA," he said. "Nothing is decided on this matter yet and it remains under discussion." Any move to accept Iran’s offer would provide a major boost for the Islamic Republic at a time when the US is trying to isolate the country internationally. It could also prove controversial in the Gulf. Since 2017, Saudi Arabia, Bahrain, the United Arab Emirates and Egypt have imposed a sweeping embargo on Qatar, with its one-time allies accusing it of seeking closer ties with Iran and of supporting radical Islamist groups. Qatar denies the charges, accusing its neighbours of seeking regime change. Al Thawadi said he hoped Qatar’s neighbours would lift a ban on their citizens visiting Qatar in time for the World Cup, which kicks off on November 21, 2022. The country’s original pitch in its bid to host the tournament included plans to use facilities elsewhere in the Gulf. "I hope the blockading nations can see the value of this major tournament and can allow for their people to benefit from this tournament," he said. 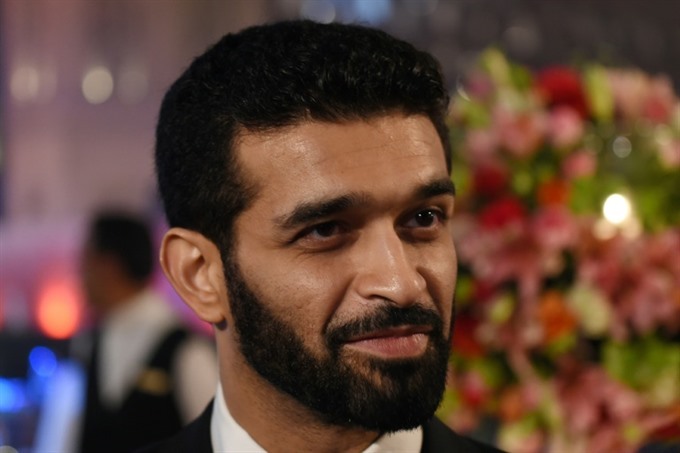 Asked about whether Qatar was prepared to increase the number of teams at the Qatar World Cup to 48, as mooted by FIFA, Al Thawadi said he was still planning for the usual figure of 32. "Our preparations right now are for 32 teams, the current format. All the preparations are ongoing based on that," he said. "There’s a feasibility study undertaken right now for a 48-team competition and then a decision will be taken both by FIFA and ourselves as a host nation," he added. Accommodating another 16 teams would vastly complicate Qatar’s task in preparing for the World Cup, which was awarded to the tiny desert state in 2010.